We offer on-site inspections for the sequential thresholds of accomplishment in the construction of pools and spas as follows;. Thus…these only involve code noncompliance critiquing, not standards and quality control issues. Realize that code compliance doesn’t care about how things look or how well things follow the design intentions for the finished products involving tile, plaster, concrete finishes, etc..
Establishing the acceptable standards and maintaining quality control over all performances requires in-field over-viewing prior to mistakes being made and assumptions being implied. Realize that one performer’s bottom line verses another, absent verifiable detailed plans for the intentions, is only a sign of a hopeful but over active imagination! Authentication should be founded in the substance of the measurable value that is written in the specification and exhibited on your plans. If this can’t be done prior to signing on the dotted line, well then how will it miraculously unfold during the many delegations to those whom you have yet still to meet? Leaving any of the important elements unrefined will basically be very much like placing your expectations into the hands of another person’s imagination. So in making the decision to measure the tangible results that come from good planning, there won’t be any imaginary value that gets lost in the illusions of an unbelievable price? Absent such confirmations that those expectations have been agreed upon, as graphically expressed, often leads to unrealized potential and unrecoverable disappointments. When plans and specifications can be clearly exhibited, they have a much better chance to become fully understood by all parties. There are several trade-specific performances that will be involved in the construction process of a well defined project. The uniqueness of each, requires a construction supervisory suaveness that can append a form of surgical sutures to each individual’s contribution, in a way that binds all to one fabric! Successful supervision is measured in the way that such over-viewing tightens the stitch, as the project evolves. Great supervision is measured in the seamless transitioning that melds all into a singular accomplishment. Thus providing a stronger commitment to be attached to a stronger agreement to perform, as one cohesive unit! Good plans provide the page from which commonality existed in culminating the performance agreement into a single continuous thread, which remains committed to a plan’s fabric. Good Plans are accompanied by strong “Construction Details and this combination acts as referencing tools which will have a much better chance in culminating into Great Result! These efforts provide the mechanism that keeps the stitches timing in-sync and tight. Organizing such a delivery vehicle is what keeps a projects progress out of the potholes and from running into the ditch at the side of the road! A collaboration can also be required between other professional design services, in that of providing for greater clarifications for the desired construction interfacing results. Swimming Pool design services can involve the results of Geotechnical findings, which in turn aid the provisions of Structural Engineering prescriptions. The Swimming Pool’s design intent must collaborate with the approach and application of principled science in order to provide the anticipatable level of reinforced structural integrity. A common approach is to employ a “Standard Boiler Plate Steel Schedule” in providing the directions for the swimming pool’s steel reinforcement density and sizing of placements. In such an approach,…hypothetical calculations are inferred rather than assigned to explicit site specific conditions. Therefore, certain unknowns may not be addressed as part of this less expensive approach. Overall, this approach may be adequate in providing structural integrity but, absent the Engineer of Record’s (EOR) site specific verification that these standards have been authenticated as being applicable to your project, you lose the benefit of those second set of eyes! The sole purpose of employing Structural Engineering is to insure that the loads being exerted on the Pool’s Gunite / Shotcrete Shell can withstand the site’s conditional forces. Different soil textures, proximity to building foundations, toe and heal hillsides locations, subsoil strata composition, hydro-static water conditions and a host of other site specific conditions may exist. Absent In-Field Observations that can verify that the prescribed steel reinforcement placement’s have been deemed “site specific” the “Boiler Plate Steel Reinforcement Schedule” may be inadequate. Additionally, this level of over-viewing provides you with the added “no wiggle room” insurance, that is the intention of securing the services of Structural Engineering, in the first place! In disconnecting the EOR from the In-field Observation obligation of inspecting the erected steel reinforcement’s placements, it opens a gap for where the responsibility of the structural integrity rest. Improper placements can result in structural failure. Also,…evolving site conditions that were previously unknown may change the prescription for steel reinforcements placements and sizing. In failing to notify the Structural Engineer and involve his or her remedied diagnoses, it can nullified the Engineer’s responsibility. The other approach to obtaining Structural Engineering services is to connect the Structural Engineer to the responsibility of his or her duties. Making provisions for the Engineer to review the plans as part of the planning process and having “In-Field Observations” performed during the construction process can be a crucial component to providing you with the assurances that come from those qualified second set of eyes! In the placement of steel reinforcements you have one chance to get it right, and structural breach is a costly and very inconvenient price to pay for something so easily avoided. 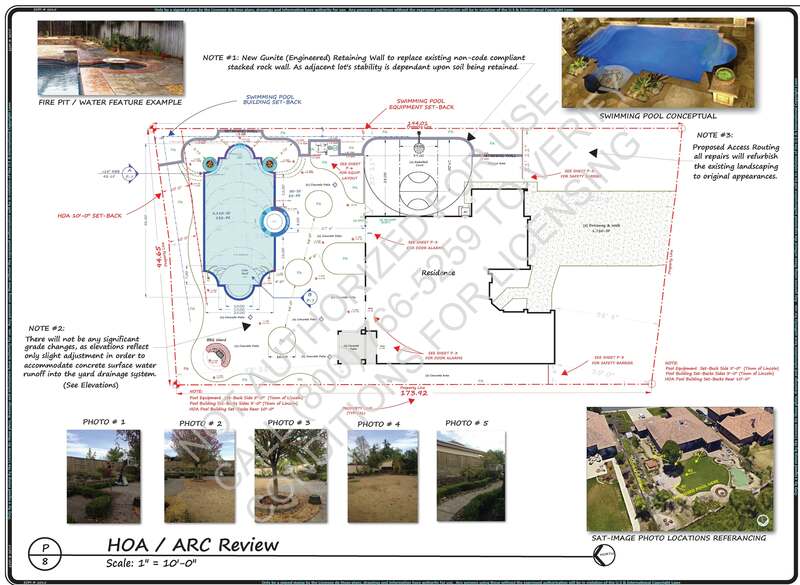 The Swimming Pool portion of the design can involve providing direction for any of the design elements listed below. All of these are relevant and depending upon the importance that is affixed to articulating a clear and concise plan, the design fees will vary. How something is constructed to a 1st Class Standard ultimately has to do with what was previewed on plan and then affixed to a committed quotation, not gullible hopefulness! Depending upon the informational details, a thorough and committed approach may or may not become reality as a result of being distracted in the enticements being presented with a lower price! Most performers aren’t going to miraculously implement an upgraded standard or consider the possibilities for what goes into a 1st Class approach, especially if they do not have these standards considered in their bid. The truth be-known, how could they when 95% of the opportunities awarded to perform are based upon the price, rather than the value being displayed on a great plan? 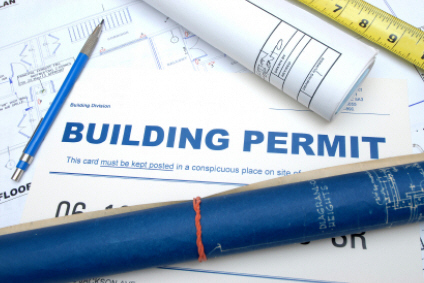 Great plans must be followed up with great over-viewing of the construction process, in order to insure that the standards, practices and installation procedures are strictly followed. Merely handing a set of plans to each individual performer won’t result in bridging the gaps that exist between each of the different trades. In order for the relay race to make it over the finish line, the baton must be firmly placed in the advancing hands of each individual trade specific performer. Keeping in mind that the sequential progressive order that is necessary to say ahead in the relay race in that of achieving a timely completion, is supervisory anticipation!